LifeAid paramedics and nurses minimise medical risk and the impact of injury & illness by ensuring that medical rescue & health care are immediately available in the very frontline of your workplace or event. Our solutions provides benefits that offset the net costs of service operation over the duration of any service or contract. LifeAid strives to provide the very best first aid and paramedic care in a proactive manner to meet and exceed the requirements of the client and patients needs. The provision of proactive preventative health care minimises the avoidable illnesses and injuries that impact on the welfare and thus efficiency of individuals and teams. Providing paramedic and proactive first aid and health care support with qualified, experienced and mature professionals including Paramedics, Nurses and First Aiders. Providing care in a manner that supports improved safety and health and sustains morale and productivity. Encourage through health education self-awareness of first aid and health needs in day to day work and activities. Training support and capability in safety, first aid and fire rescue. Health support including carbon monoxide health monitoring of fire fighters. Utilise LifeAid’s Fitness for work Drug and Alcohol Testing service. Utilise any other of LifeAid’s diverse services and staff skills. 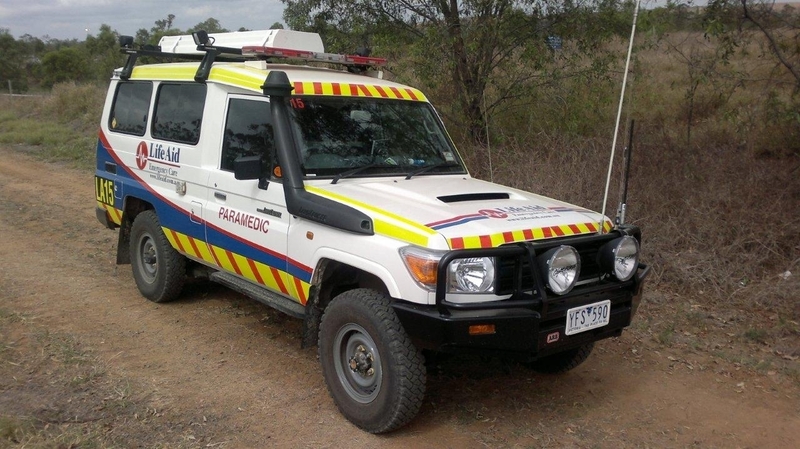 Utilisation of LifeAid vehicles and equipment including 4wd ambulances, fire appliances and rescue vehicles. Utilise clinical advice using the LifeAid Medical Director. The value-add utilisation of LifeAid’s capability and staff skills improves the health and welfare and thus safety of employees and the other staff and also provide significant cost benefits in reduction of lost time, unproductive time and maintain your workforce’s health to maintain productivity and morale.